In real life, we turn strangers into friends by following three conversational stages - small talk, discussing interests, and sharing feelings. 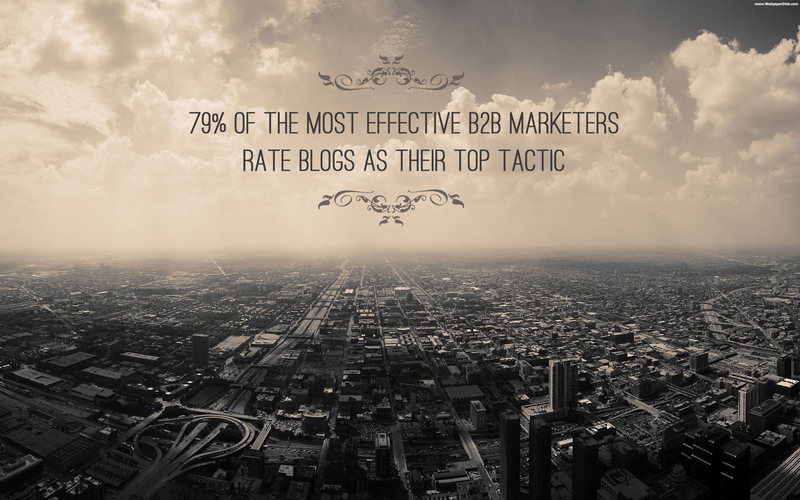 In B2B content marketing, we use a similar communication style to turn prospects into customers. To put this statistic into perspective, the average attention span of a goldfish is 9 seconds. Yes, that’s right… humans now have a shorter attention span than goldfish! And this information is a generalised number, as when it comes to viewing webpages and content, the time is no doubt a lot less than 8.25 seconds. 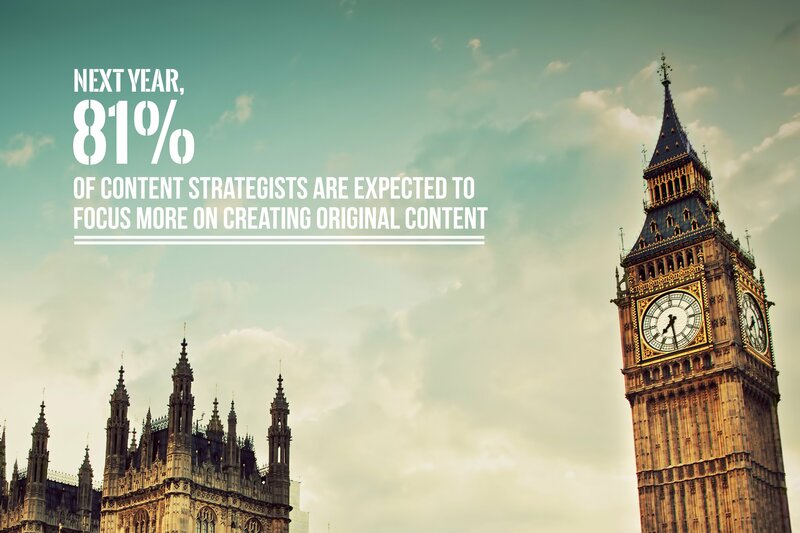 So, what does this mean for B2B marketing content? Well, the landscape is changing and a paradigm shift is taking place. Are you ready? Although we are marketers, we are also consumers, which means we’ve no doubt seen our fair share of marketing content in our time. Now, consider this, when was the last time a piece of content really captured your attention and kept you engaged? A week ago? A month ago? The fact of the matter is that as marketers flood the industry with sub-standard content, the more we all become jaded to the concept. Additionally, the frequency at which content such as blogs are being published is nothing short of saturation. Without relevance and a realistic publishing frequency, content will be almost useless for lead generation before we know it. 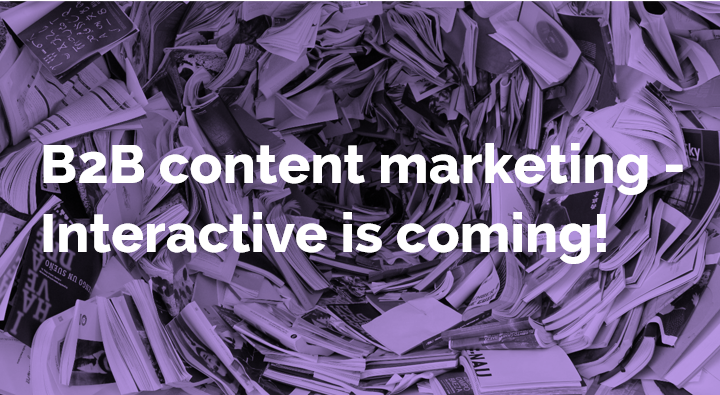 B2B Content Marketing Without Context is a Waste of Time! 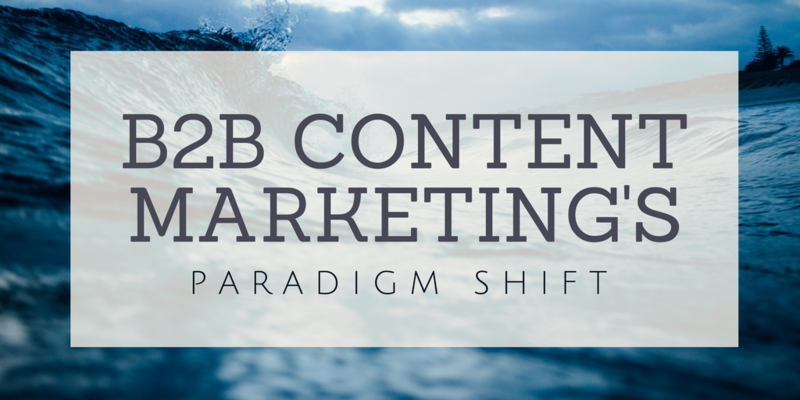 In a recent report I read, it stated that B2B content is no longer king. The newly crowned king is context. Apparently, in order to generate the best results from B2B content marketing, you need to first study and digest the behaviour of your buyers. For example, what are they talking about on social media? What types of posts do they share? Which media sites do they get their information from? Only once you have this information can you start to segment your target audience into smaller groups and then write content specifically for each group. Thinking of recruiting an in-house B2B creative team? Think again! 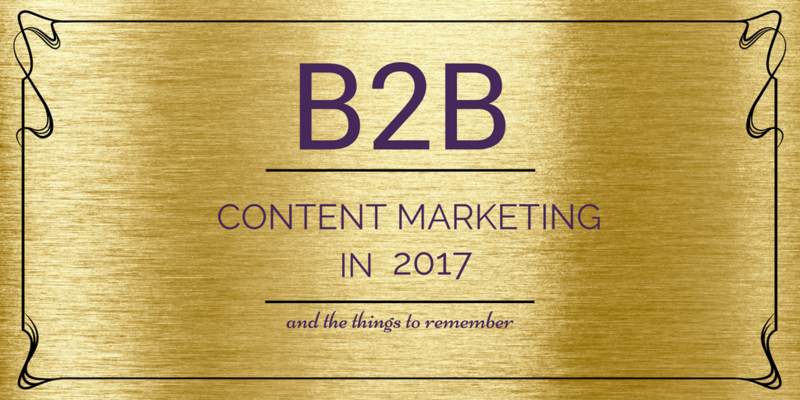 Over the past few years, B2B content marketing has continued its rapid growth in popularity. Whether it’s infographics, ebooks, tip sheets, or case studies, businesses all over the globe are investing in this marketing strategy. Now though, as it becomes apparent that content marketing isn’t just a passing fad, more and more organisations are considering building their own team of B2B creatives in-house to help write and build the ever-increasing amount of content. But is this the best solution? Is an in-house team of writers and designers really a good idea? Well, it would seem not. Struggling to measure the success of B2B marketing content? 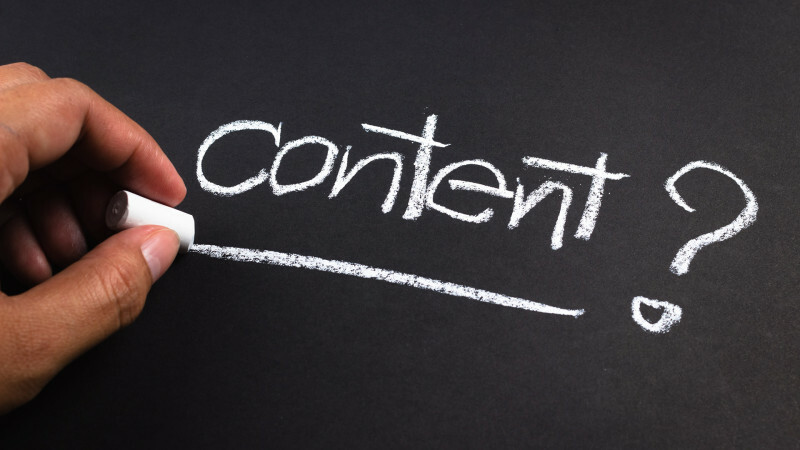 The B2B marketing world appears to be obsessed with content. 99% of marketers say B2B content marketing is important, and it’s predicted that by 2016, half of marketers’ time will be spent on content alone. With this in mind, you’d think the majority of B2B organisations would have a solid grasp of their content strategy, and how they’d like to grow and develop it over the coming year. Apparently not. According to the 2015 Content Marketing Benchmarking Report, 53% of respondents in the report say they’re ‘weak’ or ‘okay’ when it comes to content strategy. Are you overcomplicating B2B content marketing? We all know that the B2B marketers who create original and unique content are the ones who will stand out from the crowd and generate the most ROI over the coming months and years. The secret though, is how to change current content curation processes into idea-filled original content that’s engaging and likely to generate leads, sales and revenue. To help you with this transition, we’ve created a scrapbook of ideas and techniques that will have you pushing the boundaries of innovation in no time. And the starting point is the coming together of the right team. According to Forbes.com, 58% of B2B marketers plan to increase their content marketing budgets over the coming year. But, will they be investing in original content or curated content? In order to debate and examine this subject closer, it’s first necessary to clarify exactly what each term means. During the run up to an election, party political rhetoric increases significantly. By now we are all used to the multitude of leaflets posted through our letterboxes, party political broadcasts replacing TV adverts, and town centres grinding to a halt as MPs speak on a personal level to prospective voters. What Makes Great B2B Content Marketing? In a recent survey by BrightTALK (which surveyed 600 marketing professionals), the respondents were asked what they believed made B2B marketing content effective. The results, as shown in the graphic below, found that the top three priorities were audience relevance (58%), engaging and compelling storytelling (57%) and information that triggers a specific response (54%). These three factors are the fundamentals of any good B2B content marketing. What should business leaders expect from a B2B content team? 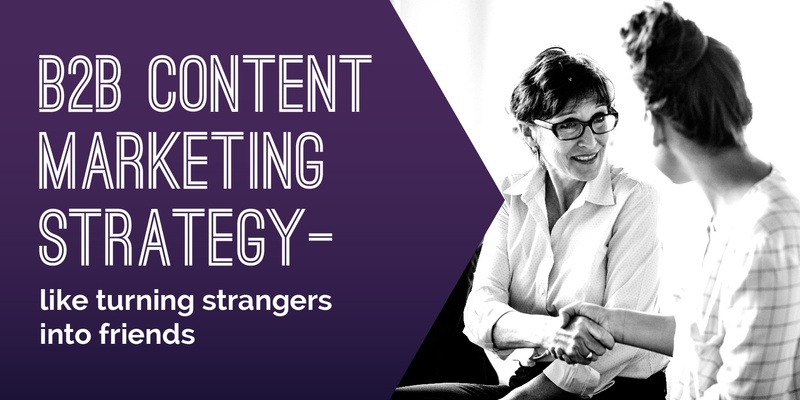 A lot is written for marketers about how to align a content strategy with business objectives. But not a lot for the actual business leaders.